Eylakr had this stone raised in memory of Sassurr, his father, a good husbandman. May God and Saint Michael help his soul. 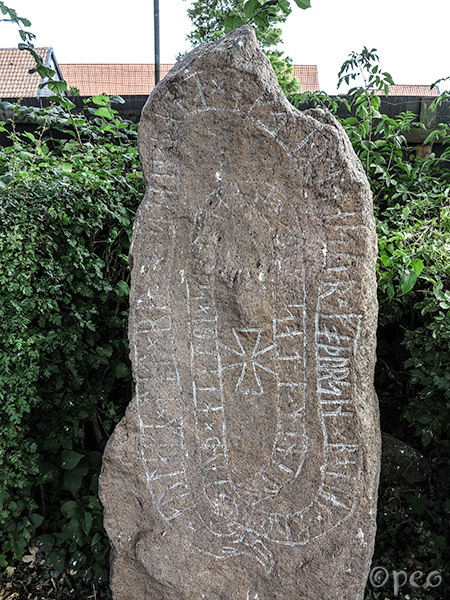 A rune stone standing on the churchyard next to Hassle church. It's labelled Klemensker 4.